“From the beginning Joe Terry was very patient and knowledgeable with my difficult case. They went over in detail step by step the specifics of my case and took very good care of me as their client. 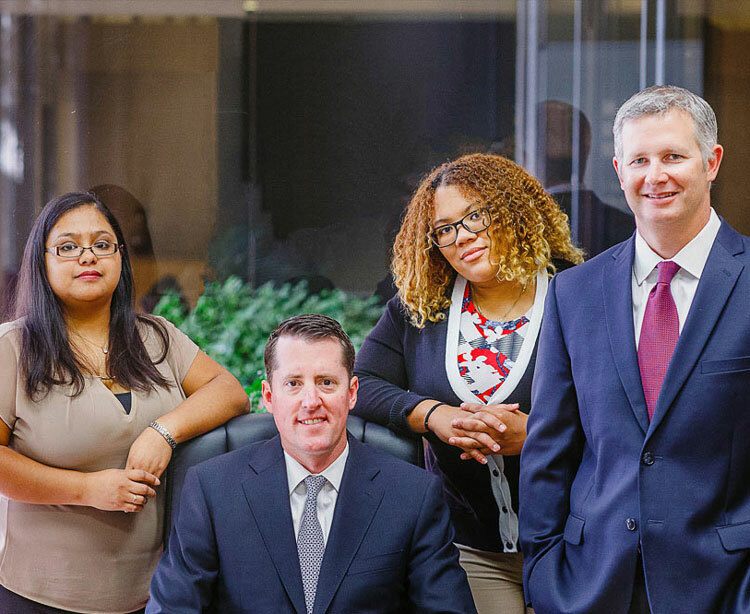 Thanks for your help and I am very pleased with my results.” Reviewed by Khozema R.
“The Terry and Thweatt law firm in Houston,TX have been very helpful and diligent in helping my mother and I by getting our case settled quickly. Our lawyer, Terry sat us down with us and helped us understand our deposition process and settlement breakdown. Overall the law firm had great communication and made us feel comfortable in the lawsuit that we were involved in. I definitely recommend using this law firm for any type of personal injury accident or lawsuit. I will keep them in mind for any other accident that I may be involved in.” Reviewed by Keitha G.
“I used Terry and Thweatt for my Auto accident claim. Joesph Terry went above and beyond what I expected from any attorney. He took the time to explain things to me and he fought and got me the most possible . I would recommend them to anyone who needs legal help.” Reviewed by Valerie A. “I went to Lee Thweatt with my personal injury case that had been turned down by some other lawyers. Unlike the others, he believed in me and accepted the case. I was not familiar with the legal system, so he explained everything to me very patiently and walked me through the whole process. I understood that he was a kind and patient person from the very beginning, but during the deposition I realized that he was a very thorough lawyer, someone I was glad to have on my side. We concluded my case today and I am very satisfied with the outcome. I am very grateful to Lee for all his efforts and for being patient with all my questions over the past few months. I must give my thanks to Irene who worked closely on my case with Lee and kept me updated with all the proceedings. It has been a very pleasant experience working with them. They are good, kind and honest people who actually seem to care about their clients.” Reviewed by Debsheila B. “Lee Thweatt represented me in a personal injury case. I chose the law firm because of all the good reviews it had. Mr. Thweatt explained exactly what I needed to expect – I was very pleased with the outcome of the case. Mr. Thweatt and his assistant, Marie, were so helpful with all areas of my case. I would highly recommend Terry & Thweatt Law Firm to anyone.” Reviewed by Sara W.
“Terry and Thweatt are such a great help. Less the 6 month ago I was involved in an accident. From the first day meeting Joe Terry you could tell that he personally cares about his clients. He is honest and kind. His work ethic is very professional and does a wonderful job representing you. Thank you Joe for your expertise and guidance. You have made a customer for life.” Reviewed by Ramy E.
“I recommend Joseph Terry. I hired him 3 mos. ago. They handled my Auto Accident matter. Joe and his team are very responsive and professional in what they do. They reviewed and took care of my case without any issues. Irene was just amazing in making sure that I got the proper care I needed and followed up with through out the process. You can bet that you will be fully represented if you hire them.” Reviewed by Darrell W.
“I was in a car accident last year. I chose Terry & Thweatt because they had great reviews. I am a very busy person so I liked that they were very professional and were able to accommodate to my needs. Joe Terry was my lawyer and he is an honest and straight forward person. His paralegal, Irene was also very helpful, pleasant and always there to answer questions that I had. It did not take long to settle my case with a great outcome. I highly recommend his firm to anyone that needs a lawyer that will work hard for them. Thank you Joe Terry and Irene.” Reviewed by Reynaldo G.
“Mr. Lee Thweatt is the only one that I can trust and he never failed me. He was always there when I needed him. Any question I have and he would answer it in sincerely manner. Thank you for all of your help for helping me with this case and his secretary is awesome and very friendly. I definitely recommend him to whoever need the truly attorney.” Reviewed by Thang T.